Spring is officially in bloom!! Time for another challenge here at Connie Can Crop!! 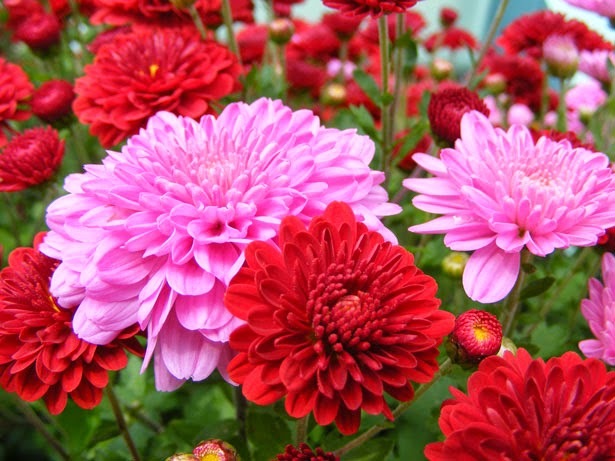 I want you to create a project that includes flowers. Lots of flowers!! At least 2 different types. Now I don't mean different species of flowers but I want to see different mediums of flowers. 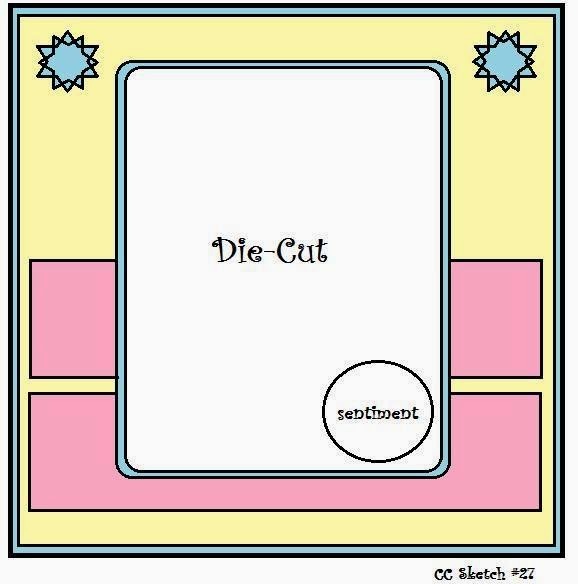 So maybe one type is on your paper, the other is your die cut, or your stamp or your ribbon. Hope this makes sense!! If not please ask me for help. Make anything you want but be sure to include 2 different mediums of flowers. Entries are due by Saturday, May 31st at 11:59 pm. Sorry, No back Linking Allowed. This was the perfect challenge to start off a cute little Springtime Wreath Project I have in mind. I can't show you the whole thing yet because, well it's not finished! LOL! But over the next few weeks, you will get a chance to see the whole thing. Here is panel #1 using Create a Critter for my Hot Pink lady bug. There will be four more panels to this "wreath" in lots of girly, springtime colors. I can't wait to see it finished. So stay tuned! I had to create this Zombie-Awesome card for my nephew for his birthday! What boy wouldn't think this is cool!! This Mama's Mesh gave it just the right grungy look! And since I am late the sentiment was perfect!! LOL! "Yep I am brain dead"
"Sorry I missed your birthday!" My challenge is up for April! 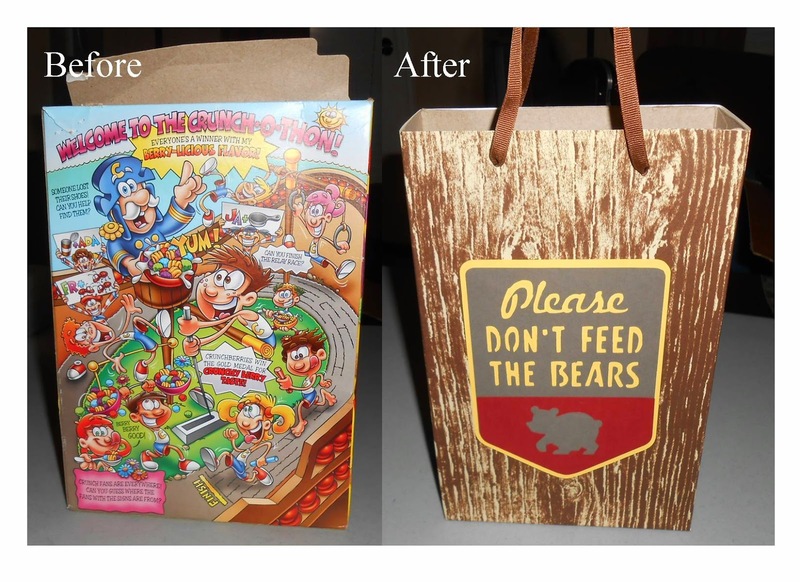 So here's my repurposed cereal box. I found a tutorial on Pinterest showing how easy it is to make them in to cute gift bags. So clever!! The patterned paper looks so real!! This is going to be perfect for dad's Father's day shirt! Any outdoorsy guy would love this bag. 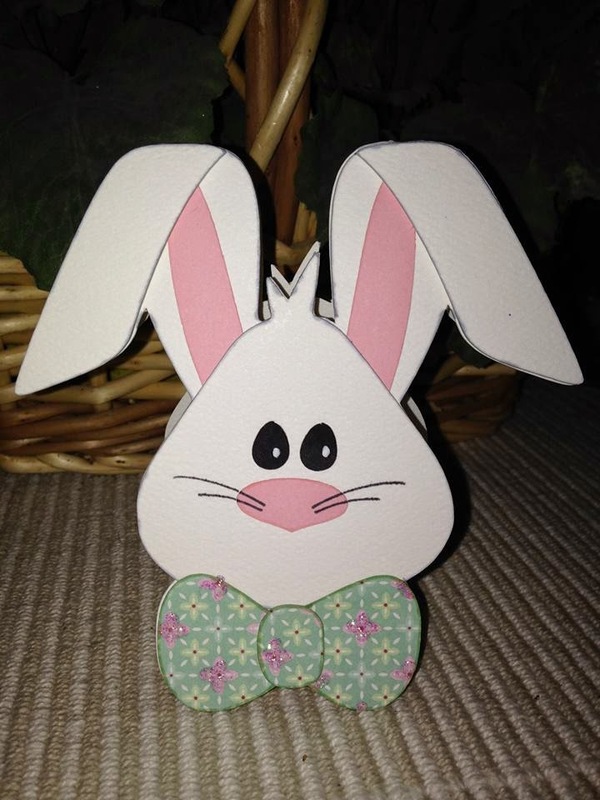 Wishing you a blessed Easter from all of us here at Lovebug Creations and myself, Connie, here at Connie Can Crop. I couldn't help but share this adorable stamp set I recently purchased off of Etsy. Isn't this little chick the cutest? Any of the Spring Collection Colors would work perfectly with this paper from Jillibean Designs but I decided to go with Dahlia Pink Rumple Ribbon from the Southern Sass Collection. Thanks to everyone who came out and hopped with us this past weekend in our Inspirational Thoughts Blog Hop. It was such a beautiful hop full of amazing projects and if you missed it you surely did miss out on a wonderful bunch of projects. 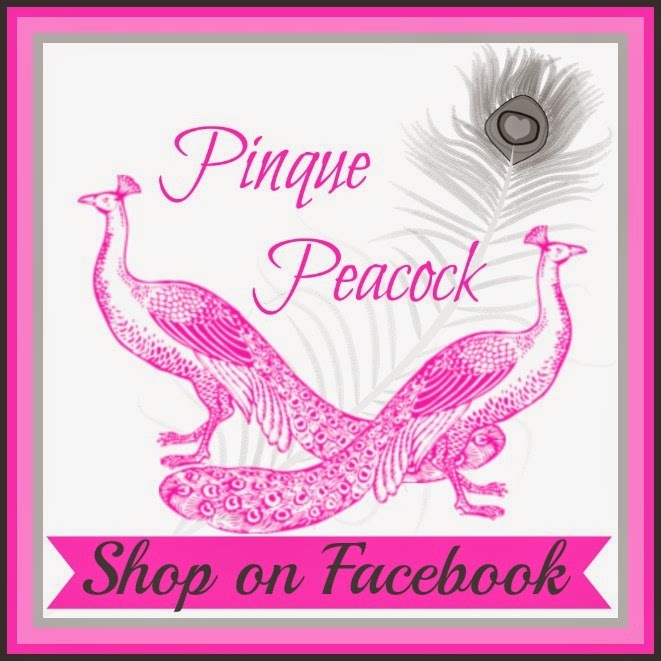 You just won a gift certificate to Pinque Peacock! Please contact me within the next week with your info so I can get you your prize!! Happy Birthday Stephanie!! From one Buggie to another...I wish you a wonderful day!! Of course my card is adorned with LoveBug Creations Rumple Ribbon in Simply White and Simply Red! So yummy!! 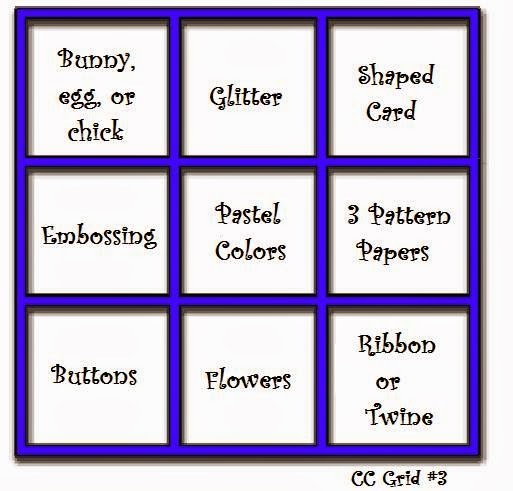 Create a project by using our fun Tic Tac Toe board!! Super FUN! So here's my Tic Tac Toe. I used Bunny, Glitter and Shaped Card. I have been planning on creating a prayer journal ever since one of my scrappy friends posted the idea. I always have many people to pray for and thought what an awesome way to remember all the prayers that need to be said. I also get Daily Bible Quotes sent to my email and this will be a very special place for me to write them all down. Then whenever I need inspiration and words of wisdom I can open it up and read from the pages. I took a regular composition book and covered it with paper and chipboard embellishments from Marcella K. I just love these colors together. Even the title "INSPIRE" came with these chipboard shapes. I used a border punch for the decorative edge along with some white Simply Sheer ribbon from LoveBug Creations. The bracket shape for the "Faith" quote was made using a template from Kiwi Lane Designs. And for finishing touches I added some sequins along with a gorgeous stick pin created with supplies from our sponsor, Pinque Peacock. I hope that you enjoy this special hop and all of the projects the ladies created to inspire you during this Blessed time of year. Happy Easter! Welcome to KIMI’S SURPRISE BIRTHDAY BLOG HOP!! We are super excited to share her special day with you! If you just so happened to arrive at my blog and would like to start at the beginning, which is also the birthday girl’s blog, please hop on over to LoveBug Creations. I’m sure she would LOVE your birthday wishes. If you arrived at my blog from Tanya H, then you are on the right track. Kimi is our fearless leader here at LoveBug Creations. But she is much much more!! Thanks for always being such a sweet heart and caring so much about us! I am so honored to call you friend and be able to celebrate your birthday with you and all the amazing ladies of LBC!! This is for you darling! The Simply Sheer Rumple Ribbon from the Winter Wishes Collection adds just the just touch of class!! If you get lost along the way, here is the complete line up. Thank you hopping with us. Your next stop is Stephanie! Create a project using pastel colors. Super Easy! Right? So here's my Spring Card. I finally was able to use my cute stamp!! Just love it! And I busted out my new Artiste Cartridge from Close to my Heart!! I recently attended the Scrapbook Expo in Anaheim, CA and I had so much fun. Not only did I do some shopping but I also learned some new techniques and made some really awesome projects. I'd like to share one with you all today. I just love how it turned out. Notice the Simply White Rumple Ribbon wrapped around my photo mats. Just the perfect touch. The title was stamped with Acrylic paint and then outlined in white pen. We used so many cool techniques. We misted, we dropped ink from a little bottle, we stamped, and we used stencils with both paint and a white paste. It was messy and oh so fun! Time to announce my big winner for my March's Green with Envy Challenge!! Special thanks to all the amazing ladies that entered this month! I can't believe how many entries! Just amazing to have 49 gorgeous entries!! I can't thank you all enough! I am so happy I don't have to pick a favorite because (gosh) there were 49 gorgeous and unique projects!! In fact there were so many that I am still trying to leave you all comments so bear with me! LOL! You just won a stamp set of your choice from My Craft Spot. Please contact me within one week with your contact info and the stamp set you would like, so I can get your prizes sent off!! And congrats on your win! My new Challenge Pastels and Polka Dots is up and running! Spring has finally Sprung and it's time for another challenge here at Connie Can Crop!! I want you to create a project consisting of pastels and polka dots. Make anything you want but be sure to use pastel colors and be sure to add some polka dots too!! Entries are due by Wednesday April 30th at 11:59 pm. You need to link your project up below using Mr. Linky. You have until midnight April 30th to link it up. Create a project using the following sketch. So here's my take on this fun sketch!! 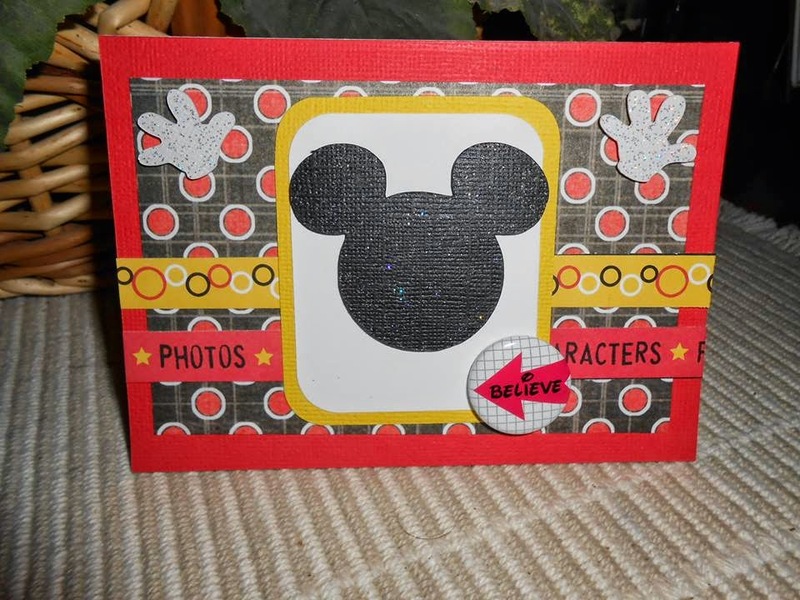 I created a Magical Mickey Mouse themed card for any occasion. Can you believe I used scraps for everything except that cool new flair I bought at the Expo. I just love flair!! Be sure to come back tomorrow to see what my new challenge for April is, who my awesome sponsor will be, and who the BIG winner for March is! !